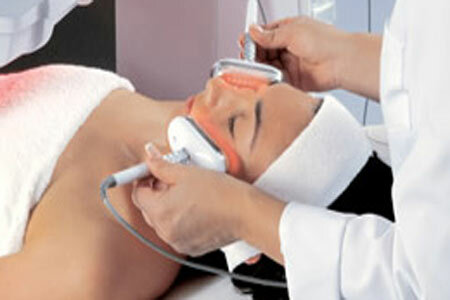 Laser treatment for skin rejuvenation can help in reducing the fine lines and wrinkles effectively. It can help in treating the wrinkles around mouth, eyes and on cheeks. Patients can observe the age spots diminished by almost 50% after the first session of this treatment. They are completely eliminated in the next sessions. Skin resurfacing using laser therapy can drastically remove shallow scars; reduce the deep lines on face and helps in tightening of skin. Some may feel that laser treatment is a magic of sorts. But it is not. It is very necessary to have realistic expectations from any treatment. Laser skin rejuvenation is an extremely beneficial mode of therapy for skin rejuvenation, but it does not work well for all individuals. It can help in skin tightening to a larger extent. But laser treatment can not give as efficacious results as seen after eyelid lift or surgical facelift. Wrinkles that are caused due to repetitive muscle movements, like frowning, are very difficult to remove with laser therapy alone. Use of botulinum rejuvenation along with laser therapy can give the desired results in these cases. It is important to note that the outcome of any medical procedure depends upon the knowledge and skill level of the doctor performing the procedure. Hence, the American Academy of Dermatology has advised patients to do a thorough homework about the procedure before they begin the therapy. Also patients are advised to discuss their expectation and other available options with the board certified dermatologist prior to beginning treatment for skin rejuvenation with laser therapy. Apart from this, patients suffering from infectious diseases like AIDS or hepatitis should inform the doctor about the same. Patients using Isotretinoin for treatment of acne should inform the doctor about it. This will help the dermatologist for proceeding with the treatment in a way that suits the patient best. A complete examination of skin is essential before the treatment begins. It is important to understand how deeply the age related effects have penetrated through the skin. Success of this procedure depends upon the exact assessment of the skin condition. It is also essential to gauge whether the laser treatment can help patients in diminishing the aging effects that concerns them the most. It is important that the patient is informed about the possible outcome of the treatment, side effects that may occur and the extent to which his or her expectations will be met with. Also, it is important to discuss the number of sessions required and costs involved in the procedure during the visit to the doctor. Once the decision to undergo skin rejuvenation with laser treatment is taken, patients should take proper care of the skin so as to accentuate the results of the treatment and to avoid side effects. Patients should avoid excessive exposure to skin prior to the treatment. Skin tanning can interfere with the treatment and can also cause a few side effects. If the skin is tanned, it is advisable to wait till the tanning goes away completely before beginning the treatment. Also, the therapy should never be done on skin that is sun burnt. Compete treatment of it is required before the therapy. Patients should properly take the medications prescribed by the dermatologist during the pre-therapy period. Also, they should use the topical agents suggested by the doctor as prescribed. The treatment procedure for skin rejuvenation with laser therapy depends upon the type of light therapy selected. The laser beams used depend upon the skin type of the patients. The therapy is done in a room that is set up for light or laser treatment, specifically. The skin is cleaned well for removing make-up or oil before the procedure. Giving eye protection to patients during the procedure is absolutely essential. A topical anesthesia is given to the patients. Some patients may need a photodynamic therapy before the procedure to make the skin more responsive to light. For this, a photosensitizer is applied to the skin approximately 30 minutes before the therapy. The procedure involves using a wand-like laser, which emits light. The device releases energy when it is fired. It makes the patient feel as if a rubber band is snapped against the skin. Some signs of aging like age spots, scars or spider veins can be permanently removed with this therapy. But, it is important to mention that laser therapy cannot put a stop to the aging process and the aging will continue to have its effect on the skin even after the treatment. New age spots may develop after the therapy or crow’s feet can again appear after the procedure. As exposure to sun can accelerate the aging process, protection of skin from exposure to sun can help patients in lengthening the time duration for which the results of treatment last. Also, protection from sun can help patients for preventing re-appearance of some signs of aging like dark patches and blotchy skin. The results of the therapy depend upon the type of laser used for the same. There will not be any visible wound if a non-ablative therapy is used for the procedure. But the skin may look puffy and red in this. Such effects do not last for longer than a few hours and can be easily covered with mild make-up. This procedure does not have any downtime. However, if fractional laser is used for the treatment, there can be a downtime of 1-3 days. The patients should follow the instructions given by the dermatologists for post-therapy skin care properly. Improvement in the skin and disappearance of aging signs occurs gradually after the treatment. It takes several months to notice the full effects of the treatment after procedure. The number of sessions required for each person varies depending upon their skin type and severity of aging signs. However, normally patients need 3-6 sessions for complete results. Laser therapies, just like other light therapies, do not have many side effects as those seen with other traditionally used skin-resurfacing therapies like dermabrasion or chemical peeling. However, some patients may develop temporary lightening or darkening of skin after the treatment that lasts for few days. Some patients also develop scarring of skin following the treatment. There may be some swelling of the skin after the procedure that can be reduced by application of ice packs. Patients can get the best and most efficacious results for skin rejuvenation with laser therapy, which can help them to have a youthful and tightened skin.